Julie Brazitis just might be the loveliest, kindest, most positive person you’ll ever meet. She’s a brand and creative lead at Google, a yoga instructor, a top-honors-earning graduate of Syracuse University, and a recovering perfectionist. On this episode, Julie talks about what it’s like when you realize you’re living the dream — but that it’s someone else’s dream. She talks about what it was like growing up as a competitive gymnast, and what happened when a severe spinal cord injury derailed her high-flying aspirations. She opens up about battling alopecia in high school and ulcerative colitis in college — and the mean girls she encountered along the way. 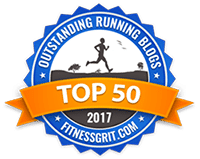 Plus, she shares her running story: how she found running, why she loved running, and how she ultimately developed an unhealthy relationship with running. Julie has had a lovely life — something she’s happy to acknowledge — but that doesn’t mean it’s been easy. 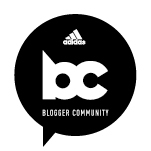 This is a thought-provoking episode that’ll get you thinking about why we make certain choices, what to do about internal conflicts, and how to embrace or combat the ever-present hustle culture in today’s Instagram-inspired society. Thank you to AfterShokz for sponsoring this episode of the Ali on the Run Show! CLICK HERE for $50 off your wireless headphone endurance bundle! 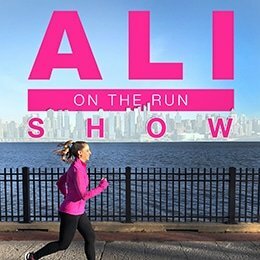 One Response to "Ali on the Run Show Episode 117: Julie Brazitis, Google Brand & Creative Lead"